Products - Lyncean Technologies, Inc. 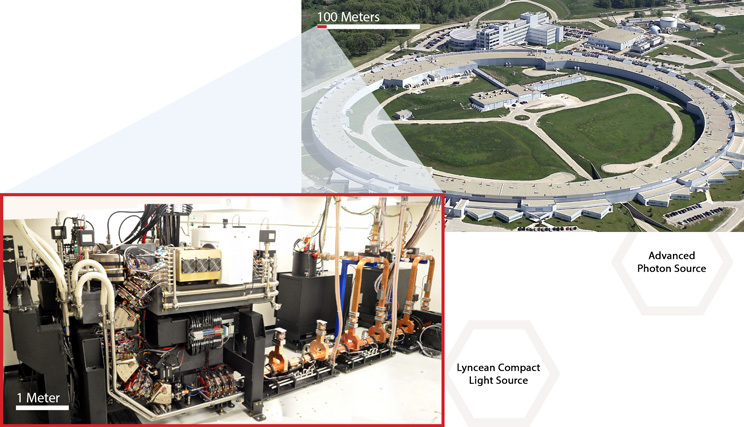 The Lyncean Compact Light Source (CLS) is a breakthrough technology that addresses the increasing demand for access to high quality X-rays by offering the possibility of a synchrotron beamline for home laboratory applications. 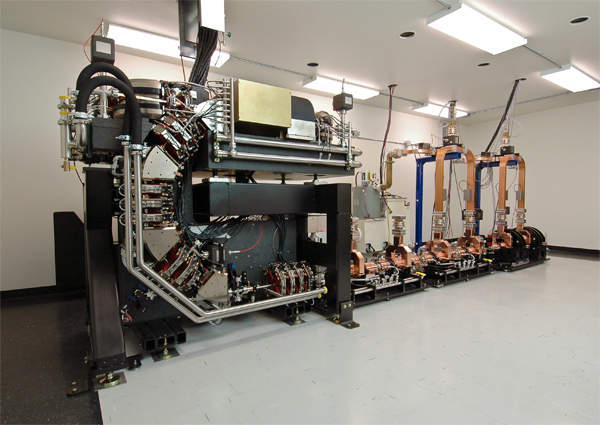 The Lyncean CLS X-ray beam shares some favorable features of synchrotron light – a continuously tunable energy spectrum and high spatial coherence – combined with some unique attributes such as intrinsically narrow bandwidth (few %) and a moderate (few milliradian) diverging cone beam. The highly peaked spectrum provides an extremely low-noise background compared to both conventional sources and many synchrotron beamlines. The cone beam divergence is small enough to be efficiently focused with x-ray optics yet large enough to provide a nearly uniform area beam by letting the native beam drift several meters. The Lyncean CLS X-rays provide powerful probes to reveal a range of physical structure down to the atomic scale. The Lyncean CLS is useful across many disciplines of X-ray science, including materials, nanotechnology, structural biology, medical sciences, semiconductor metrology, pharmaceutical development, and other chemical and physical sciences. The Lyncean CLS provides scientists with access to local, on-demand synchrotron light, allowing for an unprecedented new level of productivity. The Lyncean CLS development builds on the U.S. investment in large synchrotrons, but with a new technology that allows the source to be very compact. Conventional synchrotron light sources employ multi-GeV electron beams that are stored in large rings of magnets to generate intense, bright, 1 Å wavelength radiation. The Lyncean CLS employs an electron beam and laser beam to accomplish the same effect. The shift from periodic magnets used in a typical synchrotron light source, to the laser beam used in the Lyncean CLS, allows a reduction of energy and scale by a factor 200 – a stadium size machine becomes a room size machine! The Lyncean CLS is a small tunable X-ray source that can fit into a typical experimenter’s laboratory and can be used in much the same way as an X-ray beamline at a large synchrotron facility. X-ray scientists at synchrotron laboratories around the world have developed a vast array of applications over several decades, many of which cannot be exploited using conventional sources, but can be performed by the Lyncean CLS. By opening access to these powerful x-ray applications, the Lyncean CLS enables new avenues of discovery to a broad range of researchers. 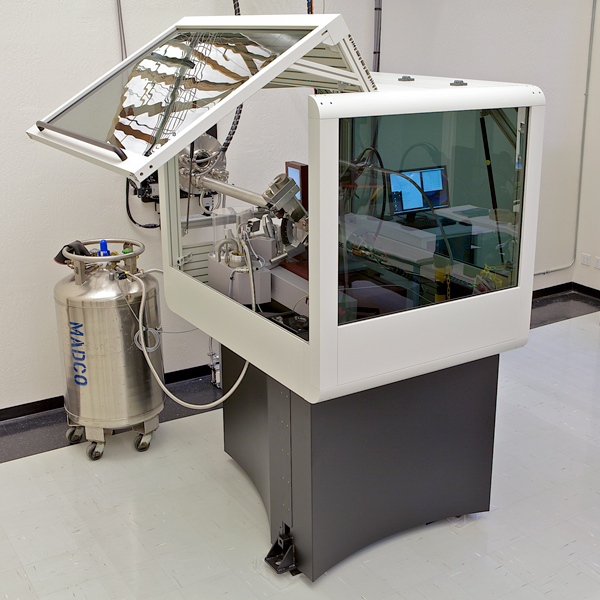 The Compact X-Ray Station (CXS) is a crystallography endstation and X-ray optics developed for use with the Lyncean Compact Light Source. The X-ray optics consists of a K-B system of multilayer optics specifically designed by Lyncean to re-image the X-ray source size (crystallography applications, powder diffraction, small angle scattering, or other focused beam applications. The endstation is a mini-hutch that may be configured for different applications. For diffraction experiments, a commercial diffractometer and X-ray detector may be installed (shown is a marresearch dtb). For imaging research applications or other scientific use, the endstation may be configured with a general purpose optical breadboard. The endstation itself has kinematic mounts and motorized alignment to quickly change configurations over a wide range of use. Details and updates about the Lyncean Compact EUV Source (CES) will be posted as they are made public.